We provide a free in-house Hong Kong student visa service for all our overseas students of Intensive 15 or 24 English or Mandarin Language courses. Upon application, our staff will arrange your student visa ready for your language course start date. We also offer a translation service for your documents, if you do not have English or Chinese language copies. 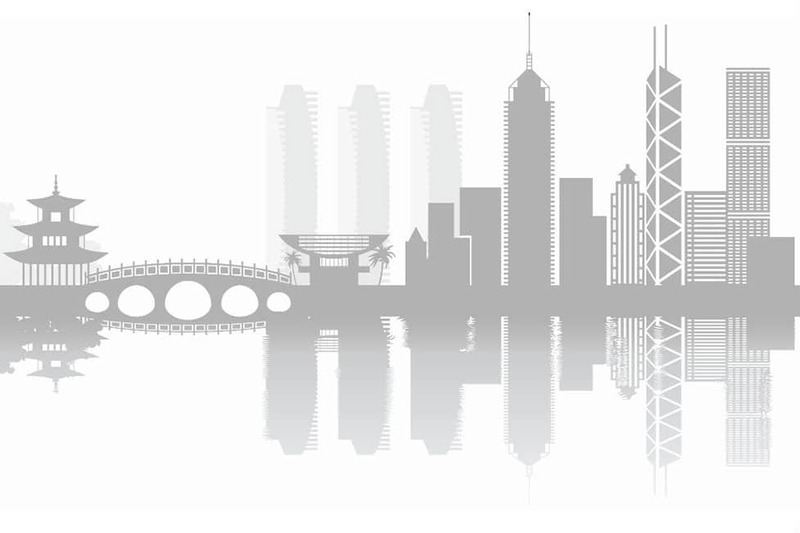 The whole process is handled by our staff in Hong Kong so you just need to send your applications through email for a smooth, efficient process. We appreciate that not everyone will want to take the easy route and apply for their HK study visa with us, so we have compiled the following Q&A guidelines to help all non-residents who plan to study in Hong Kong. To Study in Hong Kong, Do I Need A Student Visa? Now, the first step is to check the visa rules. According to HKSAR Immigration Dept, all non-local students need one, whether they come for a short course, exchange programme or full-time study. If you happen to be holding a valid HKID card such as given to dependents of HK residents then you can stop reading and go and study! For the rest of us, a visa is needed. Right…So I’ll Just Go To My Local China Consulate And Pick Up A Student Visa, Yes? Wooohhh, slow down. It’s not that simple. The first step is to find a school and a course that suits you. There are plenty of choices in Hong Kong, but you need a full-time course to get the study visa. What Is a Full-Time Course in Hong Kong? Generally, this is a course of 15 hours or more per week. Schools registered with the Education Department in Hong Kong offering full-time or intensive study of 15 hours per week or more should be able to help you with your student visa. How Do I Find A Suitable School in Hong Kong? The same way as you found Q Language……Internet search! It’s the best way as Hong Kong is a fast-paced city and things can change. Just make sure that when you do find a suitable school you ask the question “Can you provide a student visa for me?” if the School doesn’t know what you are talking about or doesn’t give you a positive reply then get back online and look again. Good schools will guide you immediately on this topic. OK…Let’s Say I Find A School in Hong Kong…How Do I Actually Apply For A Study Visa? c) Copies of your academic documents – usually high school and above is needed. Don’t forget to make certified translations if not in English or Chinese. Immigration won’t even try to read your Russian or Spanish high school records! Is There A Hong Kong Student Visa Application Form? Yes, aside from the above documents, you need to complete a Hong Kong study visa application form (called an ID995A form) found here. Note, it can be a bit tricky to complete so, again, ask the School to help. It is their job to ensure you submit a correct application as they need you! So, What Do I Do With All These Documents? Well, the best way is to send to the School directly by email or deliver by hand. Don’t send directly to Immigration Dept in HK or any overseas Consulate unless instructed to do so by the School. Immigration will probably ignore it if it hasn’t been submitted properly. Within 10 – 14 days of submission, the School will receive an acknowledgement letter from Immigration. This letter will include a reference number. Receipt of this letter means all systems are go, and the HK Immigration Dept are processing your visa. With the reference number, you can check the application process online. How Long Does It Take To Get A Hong Kong Student Visa? Well, it is usually a 6 to 8-week process. The HK Immigration Dept issue some visas within six weeks while others take longer as the Immigration Dept Case Officer dealing with your application might decide more information is needed. So, if the School contacts you for more documents, don’t worry too much. It is quite normal, and usually it is something simple. How Long Is The Study Visa Validity? 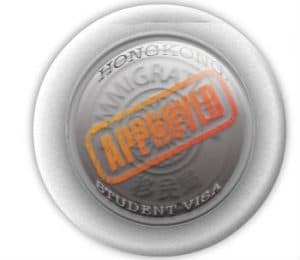 Your HK student visa is only valid for the duration of your course. 6-month course = 6-month visa etc. Is the Student Visa Emailed To Me? Hong Kong doesn’t issue e-visas like many countries. You will get a good old-fashioned sticker to put on a blank page of your passport. Either collect this from the School or they will send it to your home address. Just a word of warning, if you collect your visa in Hong Kong, you will need to exit Hong Kong and re-enter. Yes, I know that is a pain but since it is an Entry Visa, you can’t activate without passing through Hong Kong border control. Most students just spend an afternoon in neighbouring Macau. It’s just a 55-minute ferry ride from HK and visa-free for most of us. Just don’t lose all your money at the casinos! How Do I Actually Activate The Study Visa? Easy one. Just come into Hong Kong and show your passport with the visa inside at the Immigration counter. The friendly Immigration officer will stamp the visa page and activate your visa. Hong Kong Student Visa Extension – Is it possible to get an extension of stay in Hong Kong? Sure, you can obtain an extension of stay visa quite easily in HK. The School will help with that, of course. Just make sure you tell your School at least four weeks before the expiry date or it won’t be possible. And don’t overstay your visa expiry date or that will be the end of your study in Hong Kong for a long, long time! Great! Anything Else I Need To Know About Study Visas In Hong Kong? Yes, we are not finished yet! The good news is that if you are taking a course of 6 months or more, you will also receive a Hong Kong Identity Card. Having this is very useful as you can use Government hospitals and other facilities almost free of charge! Also, if you want to open a bank account, this HKID card will make your life much easier. Perfect! And The Bad News? a) No changing to another school or course! The Immigration Department issue the visa for a particular school or course only. b) Don’t break the law. Sounds like common sense but in HK doing so can result in your student visa being cancelled and you will need to leave. So, be a good citizen and behave! c) Make sure you are attending your lessons regularly. The School can cancel your visa if you don’t turn up! Am I allowed to work in Hong Kong whilst on a study visa? Right, the general rule is, No Working! There are a few exceptions if you are enrolled at a university on a degree course, but you can’t go and get a job while on a student visa like in other countries. Hong Kong has plenty of people so doesn’t need you to work in restaurant or bar, I’m afraid. If I’m Just Visiting Hong Kong Do I Need A Visa Too – and if so, where can I get a Hong Kong Visa Application Form? We love tourists in Hong Kong and for most of you, Hong Kong is visa-free for 14 – 90 days. But this will depend on your passport and nationality. So, you had better take a look at the Visit/Visitor Guidelines here. And here’s the link for the hong kong visa application form download . Wow!… Thank You For Such A Thorough Guide…. Our pleasure. We look forward to seeing you in Hong Kong.